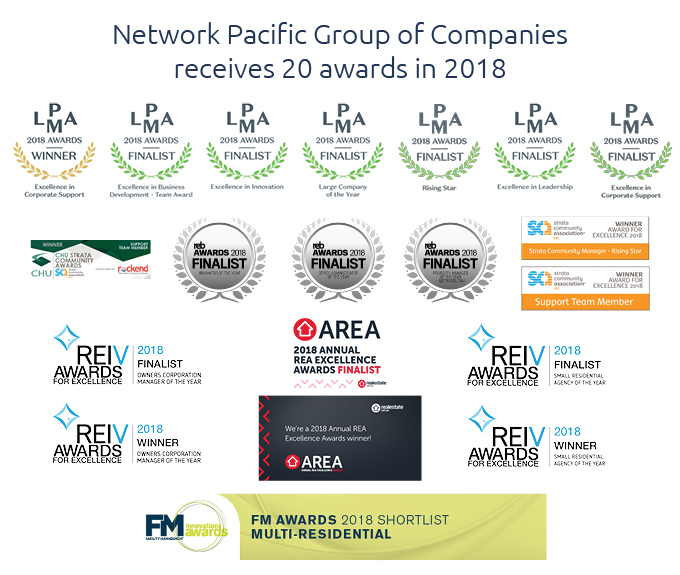 Since opening its doors in 1994, Network Pacific Real Estate has grown to be one of Australia’s leading real estate companies. Fostering a culture of innovation and continuous improvement has led to the establishment of ten affiliated entities which allows us to act as a one-stop-shop to meet the entire property needs of our clients. These include real estate sales and property management, facilities and maintenance management, compliance, safety and regulatory requirements, ShareCar communal car use, Carparklock to prevent unauthorised parking, and building supplies at wholesale prices. This means our clients need only deal with one company for all their property management needs, saving valuable time and money. We pride ourselves on our responsive and personal nature of conducting business. We professionally and proactively manage our business relationships to form sustainable and enduring client relationships. This leads to very high customer satisfaction levels and today more than 95% of our new business comes from existing customers or referrals. Highly experienced and qualified, with a strong focus on customer service and professionalism, our staff are exceptional. We believe in corporate and social responsibility which is why we are committed to our green policy. We aim to reduce our impact on the environment by implementing, maintaining and continually improving our environmentally sustainable practices. At the helm of the Network Pacific Group of Companies is Stephen Briffa. Stephen has over 30 years’ experience in the real estate industry. He spent his early years in commercial real estate and played a pivotal role in many turnkey projects such as the Australia Post Mail Delivery Centre and the Victorian Legal Aid Office Development projects, among others. With his vision, Stephen has steered the company from a one-man operation to one of the largest privately owned real estate corporations in Australia. His unwavering belief in providing excellent customer focused initiatives puts him ahead of many in the industry. His business acumen has seen him start a plethora of affiliated companies that work together to complement the real estate business. Stephen is a licensed estate agent in Victoria, New South Wales and the Northern Territory. He is also a member of the Real Estate Institute of Victoria (REIV), Real Estate Institute of New South Wales (REINSW), Facilities Management Association of Australia (FMA), The Leading Property Managers of Australia (LPMA), Fire Protection Association Australia (FPA Australia) and Strata Community Australia (Victoria and Queensland). Stephen was the winner of the Real Estate Institute of Victoria (REIV) Owner’s Corporation Manager of the Year Award in 2017. An honest, highly driven and enthusiastic agent, Tze Chan is an asset to those looking to sell their property for a premium price. With over seven years of experience in residential and commercial property sales, Tze brings a valuable skill set to his role as Sales and Business Development Manager at Network Pacific Real Estate. As Tze puts it “I get great satisfaction from helping clients achieve their property goals and ensuring every vendor and purchaser receives constant feedback throughout the sales process.” Fluent in Chinese (Mandarin and Cantonese) and Malay, Tze’s formula for success is built upon his exceptional communication and interpersonal skills, local market knowledge and in depth understanding of the sales process. Drawn to Network Pacific for its innovative processes and ongoing education and training, Tze has proven himself as an outstanding sales agent and experienced negotiator. Tze has a Bachelor’s Degree in Business Studies from the University of Technology Sydney and is a REIV member. Ben sets a high standard for the level of service across every task he undertakes. His philosophy is to provide his clients with the same level of service he would expect to receive himself and he never compromises this principle. Ben operates with the utmost integrity, believing honest and open communications to be critical to the buying and selling process. Passionate about real estate, Ben makes it his business to know everything about the surrounding area and market, down to the smallest detail. Results-driven, Ben prides himself on his ability to deliver exceptional results. He is most proud of a listing he obtained on a Friday, only to have it sold by Sunday with three fantastic offers for his owner to choose from. Ben’s qualifications includes a Certificate III and IV in Property Services as well as an REIV Certificate in Auctioneering, equipping him with the necessary knowledge to best serve his clients and ensure their journey is as smooth and easy as possible. Have been much satisfied in dealing with Tze. He has been showing solid knowledge, confident while conveying information, on time when attending meeting/inspection, well prepared & much clear and straightforward. On top, he is a great person. I witnessed him stepping forward in helping elder lady who was in need of support. I had the chance to see the true honest human side of Tze and it did top up his professional attitude.…Wish Tze all the best, he deserves it. I would like to wish you a merry Christmas and a great New Year. I would also like to thank you for your much appreciated assistance during 2017.You have been the best so far….Thanks again. Tze did a great job selling a very difficult property. …I live overseas. Tze Chan was very hardworking, diligent, humble, trouble free, honest and did an outstanding job securing a buyer quickly and a good price. You are an absolute champion Glen, thank you so much. Tze is very professional and was a pleasure to deal with. He kept me updated throughout the process. His communication skills are excellent and his integrity is second to none. I would highly recommend Tze to anyone. l would like to say that it has been an absolute pleasure having you as our property manager. Your communication with me has been wonderful, you have worked with me as an owner and the tenant very well when repairs has been needed and l personally know you are a tremendous manager and would highly recommend you to anyone that is looking for someone to manage their property. Thank you Mei it has been a pleasure working with you. Please find attached the signed approval for the Lighting Upgrade on our Mont Albert apartment. Once again Mei -sincere thanks for your assistance in the management of our apartment your professionalism and timely customer service skills have been outstanding. Your quick response was like a breath of fresh air and appreciated. As a remote owner it is pleasing to know my investment continues to be well managed. I valued attending the inspection of my property at Mont Albert along with you to discuss a number of concerns with the tenant. Once again I was impressed by your commitment, professional representation and timely follow up. My husband and I remain confident and assured in our decision to have Network Pacific and yourself manage our rental property. Hi Stephen, just a short note to express my appreciation of you & Celeste taking your time, in what must be a very hectic period for you both, to personally call me and explain in detail what has occurred to date with the Darwin apartment and the associated issues that have arisen since. From my perspective, this is the first time I have experienced these types of property management / legal issues, so I am on a very steep learning curve….Thank you again Stephen I appreciate your on-going support and good humour. Thank you for all your hard work Celeste and I wish you a Merry Christmas and Happy New Year. I have had the pleasure of dealing with Ms Mei Dong over the past few months with regards to the leasing of my property. She has proven to be consistently attentive to every detail and especially good at engaging with potential customers. Once again Mei – sincere thanks for your assistance in the management of our apartment. Your professionalism and timely customer service skills have been outstanding. I continue to be impressed with the way Network Pacific manages my rental property and I thank you for that service. Compliments of the season to you all. 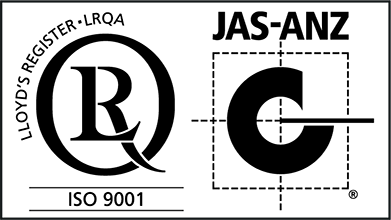 Network Pacific has attained the International Organisation for Standardisation (ISO) 9001:2015 Quality Assurance Certification. This is an internationally recognised certification which we are extremely proud to have received. Our Quality Management System allows us to monitor quality across all of our operations and ensure our business processes focus on consistently meeting our clients’ requirements and enhancing their satisfaction. 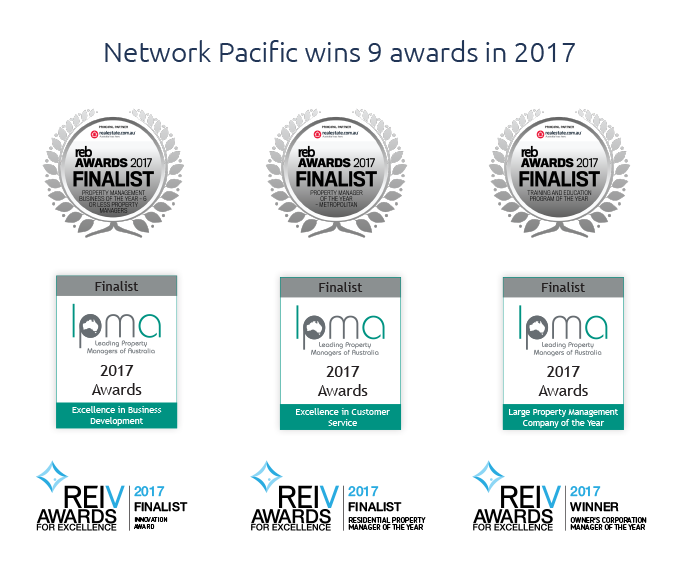 The Network Pacific Real Estate multi-award winning team is one of the industry’s best. Our great people are our most valued asset and we are committed to providing on-going training, support and clear paths to career progression. Our focus on the professional development of our staff ensures our company culture is directly aligned with the Network Pacific values of commitment to client relationships and achieving optimum results. If you are ready to join our team of high-performing real estate professionals, we’d love to hear from you. Fostering a culture of innovation and continuous improvement has led to the establishment of ten affiliated entities which allows us to act as a one-stop-shop to meet the entire property management needs of our clients.